Congrats on surviving one more revolution of the sun, Emperor. Happy Birthday(and belated birthday) to all for the merry month of May. Birthbirfday Bro-fist to Revolving Chi. Happy birthday Revolving Chi. [ponders] That sounds like some sort of anime-style energy attack. Oh well Happy Birthday. This is my, Infinite Sword Dance"
Fan of : Gunslinger Girl, Final Fantasy, Parasite Eve 2, Fate/Stay Night, Ah! My Goddess, etc. Comments : "The man who tries to please everyone, will never be happy with themselves." May your special day be ! @Triela wrote: So there's no confusion with our names I'm gonna call you Trishire. 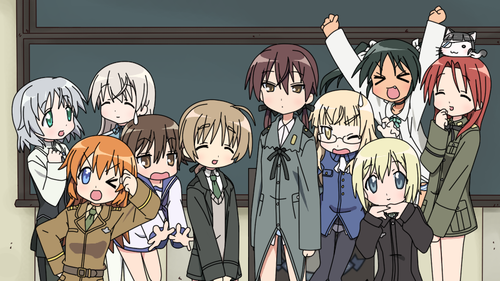 Fan of : Triela, Henrietta, Rico, Beatrice, Angelica, and... Claes. Comments : Karin Hilshire, WoD character based off of Triela from Gunslinger Girl. A very special b-day wishies to our favourite anime reviewer. Near missed this before switching off for the night, but Happy Birthday to Kiskaloo! lol just realised your age hadn't changed to 41 on your profile yet ,guess i look stupid ! @Awinnell wrote: lol just realised your age hadn't changed to 41 on your profile yet ,guess i look stupid ! It will once we move into June 15th here on the US West Coast. Happy birthday, mysterious Boeing guy!! Comments : President of the Ilya Fanclub. Happy Birthday, Kisk! Hope you have a good day! Now that it is officially the 15th in the US Pacific Time Zone, Birthday Salutations Kisk! @Professor Voodoo wrote: Now that it is officially the 15th in the US Pacific Time Zone, Birthday Salutations Kisk! Ended up being fantastic. The weather on Sunday was great, as was the race. Happy birthday Kiskaloo! I hope all is well for you. I've pretty much come to the realization that I'm white trash. I'm ok with that though. Have lots of pizza today, Rico-chan! Man, I missed all kinds of b-days this month. Well better late than never; HAPPY BELATED B-DAYS TO YOUS ALL!!! 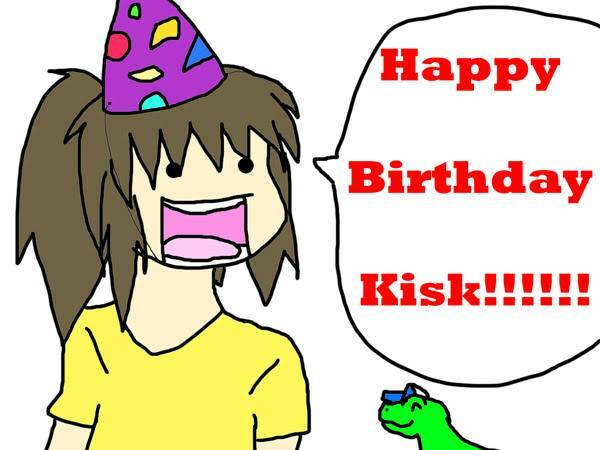 And Happy Birthday to Kisk aswell! Missed it Hope you had a great celebration! 7 July...Birthday Salutations to Five_X! Happy b-day to you, sir. Best wishes to Malbonheur, Nuke is Good & Triela Hillshire. Hope you're all doing something exciting today!